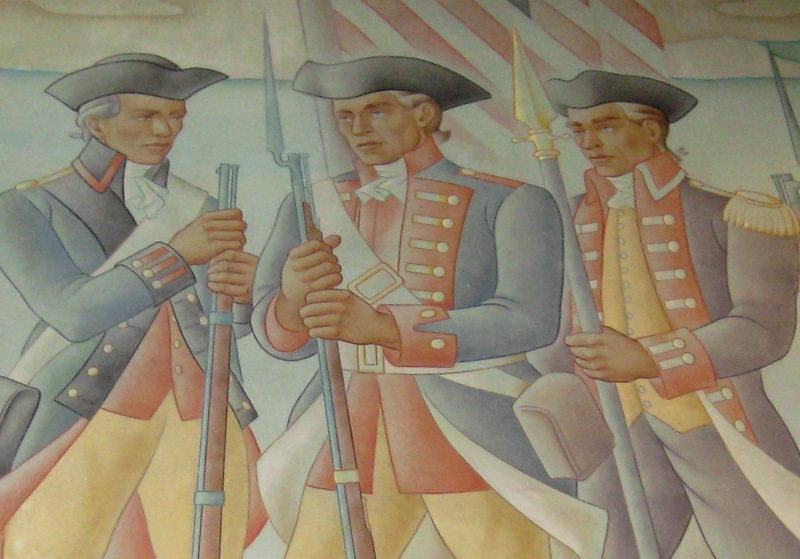 Soldiers and Sailors is a three panel painted mural in the vestibule of Bob Hope Patriotic Hall. 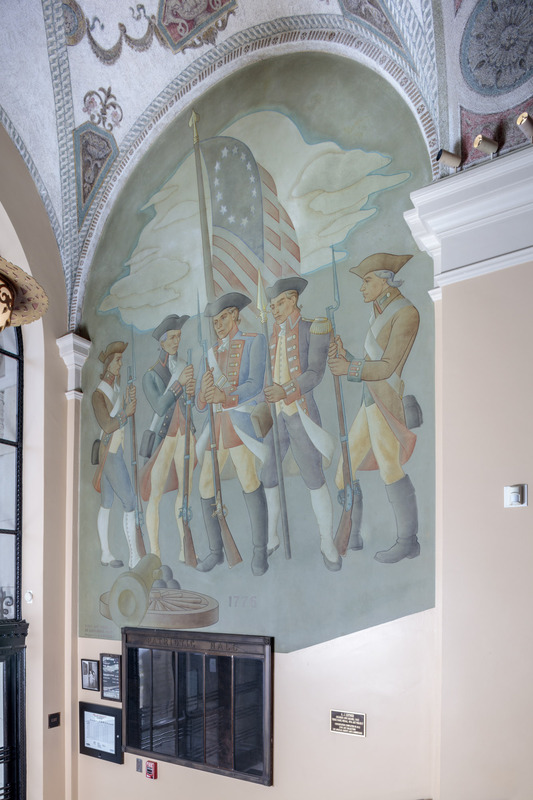 Created in 1942 through the Works Progress Administration (WPA) Art Project, the mural depicts the United States’ military uniforms from 1776 through 1941. 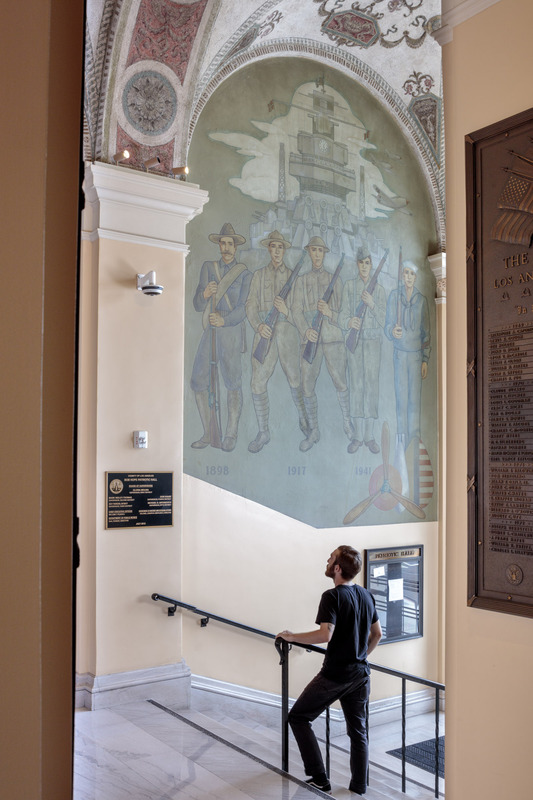 The murals were conserved in 2011 during the renovation of the building. Aurel Joel Leitner was born in 1898 in Hungary and came to the United States in the 1920s to start his career as a concert pianist. Tragically, his musical aspirations were ended when he lost his arm in an automobile accident. He became a painter and moved to Los Angeles in the 1930s. 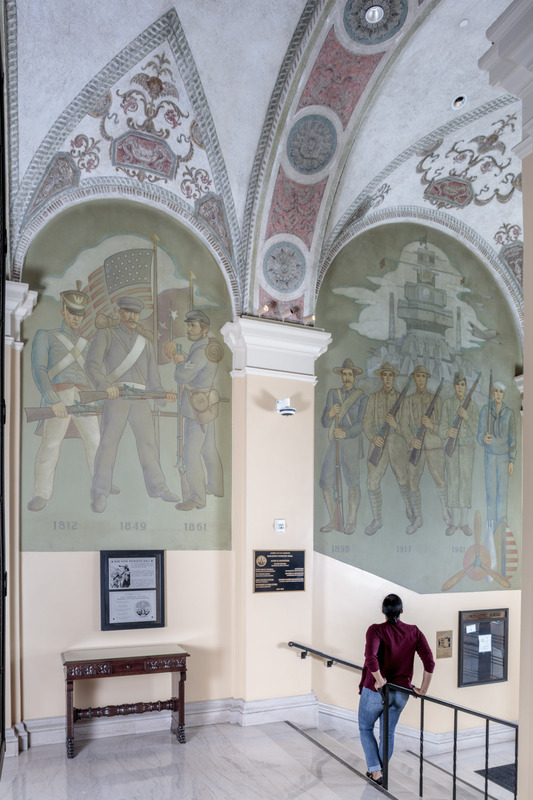 In addition to his mural at Patriotic Hall, Leitner exhibited at the 1939 Golden Gate International Exhibition and assisted Helen Lundeberg with her WPA Venice High School mural. Leitner died in 1957. Biographical information in part provided by Seema’s Show: A Life on the Left by Sara Halprin, 2005.